Mississippi Swamp Dogs presents “A Night In New Orleans,” a celebration of the rich variety of music from the Crescent City. This presentation has been featured and loved at Ronnie Scott’s, The Hideaway, The Bulls Head in Barnes, all the major Jazz Clubs in London. 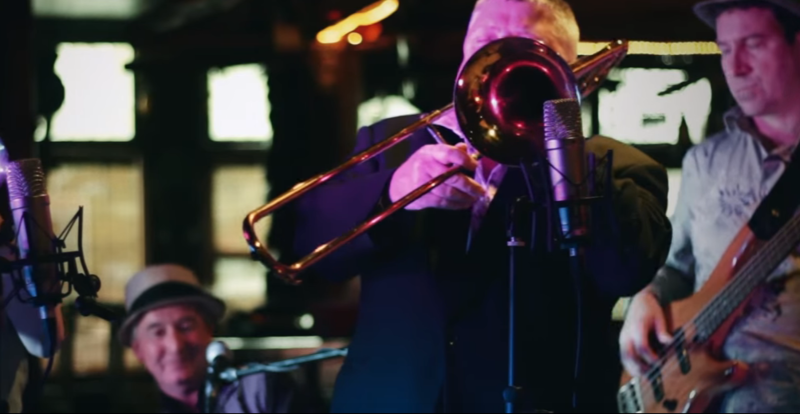 Stroll through New Orleans’ legendary French Quarter and you’ll be entranced by some of the most joyous, most danceable, most irresistible sounds heard anywhere on the planet. The Mississippi Swamp Dogs take the best of these much loved songs and present them in a tuneful, high-energy show that will draw you in and keep everyone smiling. If you love the music of Fats Domino, the Neville Brothers, Dr John, Louis Prima, Professor Longhair, and the great Louis Armstrong, you’ll go crazy for this band. The Dogs offer a riotous mixture of funk, Cajun, soul, rock ‘n’ roll, old style shuffles, and Latin rhythms. And more than these New Orleans masters, you can expect to hear the music of BB King, The Crusaders, Lynyrd Skynrd, and many other renowned artists associated with the rich musical heritage of the American South. Find out how to make reservations for smaller parties and large groups. Our food is freshly prepared on-site using ingredients from local and national sustainable sources wherever possible. Every visit to our shop and café supports the work of St Martin’s. Loved our food? Could have been better? Take a minute to write a review on Google and tell us what you think.